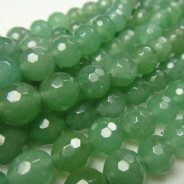 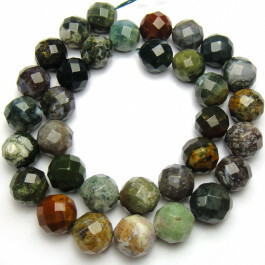 Fancy Jasper Round 12mm Faceted Round Gemstone Beads (~33pce Strand) - 40cm/16'" Strand. 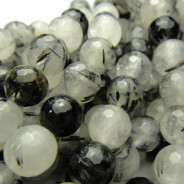 Known for it's body & mind healing properties, Fancy Jasper is also believed to encourage creativity, focus & positivity. 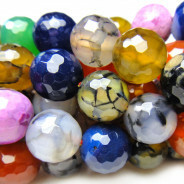 Said to bring balance, help with stress & indecisiveness. 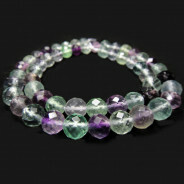 Stones range from earthy greens & reds through to opaque purples.